Mr. Darcy *heart eyes emoji* Lizzie Bennet. But will she swipe right? 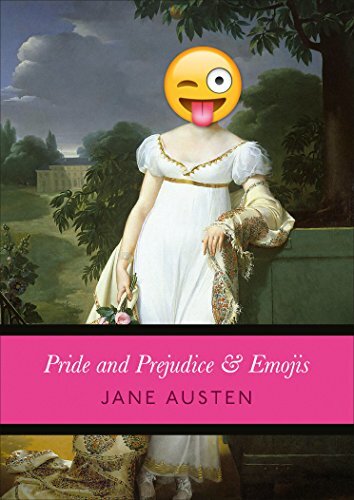 Delight in Austen’s intelligent wit and piercing social commentary, distillled and translated into the beautiful, modern language of emoji. Because there is no enjoyment like reading. Except maybe texting. View More In Humor & Satire. If you have any questions about this product by Ebury Press, contact us by completing and submitting the form below. If you are looking for a specif part number, please include it with your message.